Adidas presents the Bavarian soccer socks for 2018. Made of polyester, nylon and spandex, the piece has an anatomical damping fit and excellent fit. In addition, it contains breathable mesh mesh for better ventilation and freshness. More info. Adidas presents the Bavarian soccer socks for 2018. Made of polyester, nylon and spandex, the piece has an anatomical damping fit and excellent fit. In addition, it contains breathable mesh mesh for better ventilation and freshness. 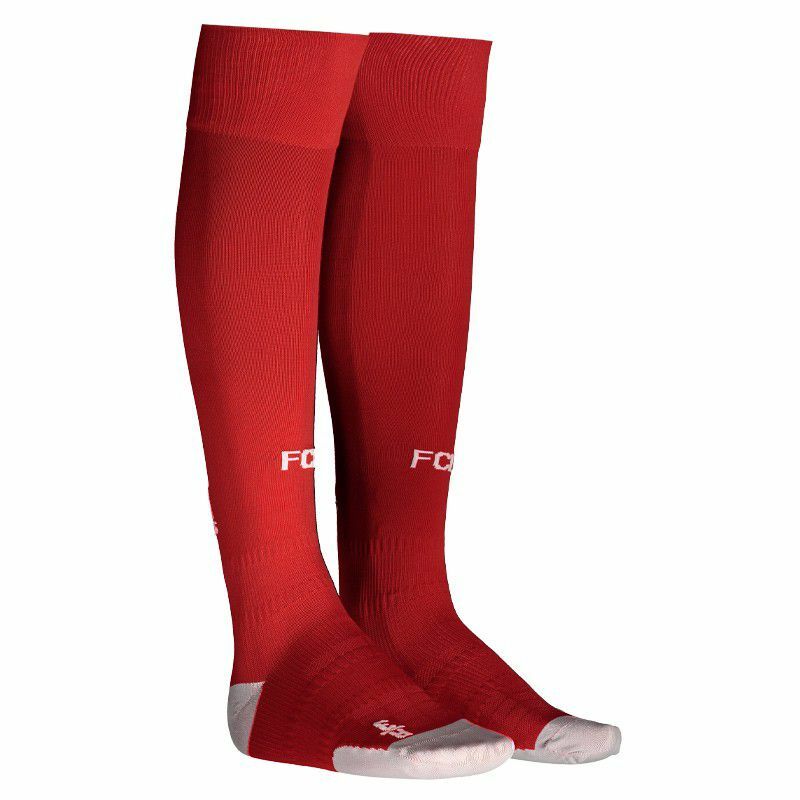 With ergonomic adjustment on both sides, the socks design consist of the predominant red color with gray details on the sole. Already the white color is also seen in the acronym of the team, embroidered on the front and the Adidas logo, embroidered on the back. Get yours now and boost your performance on the field. FC Bayern Munich, commonly referred to as Bayern, is a german sports association headquartered in Munich, Bavaria. The state in which it is located also named the team, Bayern. It currently has almost 285,000 fans and organized members.